Regulators in Abu Dhabi have started regulating Initial Coin Offerings (ICOs) in the country and have cautioned that they are fraught with “many risks.” ICO is a popular way for cryptocurrency start-ups to raise money. ICOs as a way of raising money for start-ups involves issuing new crypto coin and users buy them using Ethereum or Bitcoin. Just like crowdfunding, it is a way of raising money but involves cryptocurrency. Data website Coinschedule.com estimates that start-ups have raised up to $2.4 billion from ICOs this year. The Abu Dhabi Financial Services Regulatory Authority (FSRA) on Monday, issued guidelines on ICOs and virtual currencies for the first time. It noted that if an ICO possessed the characteristics of a security, like issuing a person ownership of shares in a company, then FSRA will place it under regulation, just like a company issuing new stock. Head of fintech strategy at the FSRA Christopher Kiew-Smith, told CNBC in a telephone interview that there is a high level of diversity in the IOC market when it comes to quality, with some ICOs constituting high risk. He further stated that there are no disclosures or financial statements and they are extremely high risk for people who are seeking returns. The guideline provides that any company which wishes to execute an ICO must approach the FSRA to ascertain whether it falls under the body’s regulation. Just like a firm for an Initial Public Offering (IPO) on the stock market, under this regulation, companies are also required to publish a prospectus. The FRSA must approve any market intermediary or secondary market operators that are dealing with ICOs. The Abu Dhabi financial regulators also noted that virtual currencies are not money but “commodities” which are in the same category as precious metals or fuels. They, therefore, stay unregulated. There have been contradictory regulations from one country to the other over the past months regarding the use of cryptocurrencies and accepting them for transactions. For instance, Dubai recently planned to build its economy around blockchain and has allowed it major companies to start testing out how they can adopt blockchain in doing business. Japan has also gone ahead to make bitcoin legal tender. Japan’s GMO recently invested $90 million in cryptocurrency mining. Besides, Japanese e-commerce giant DMM is equally considering investing money in the crypto market. The country is obviously creating an enabling environment for cryptocurrency business to thrive. Unfortunately, the same cannot be said of China, which has already placed a ban on ICOs because they felt it wasn’t safe for their citizens. This development has seen an exodus of start-ups going to launch their ICOs in Japan which has a friendlier environment. FSRA is of the opinion that ICOs could be a way for companies to transparently raise money and in less expensive manner if appropriately regulated. They went ahead to say that were trying to remove disproportionate barriers to innovations that are sensible. Looking at the way some ICOs have been launched recently, there’s need to have some regulations to create a sane environment and minimize the way some investors are being ripped off. Unikrn recently obtained its license to enable cryptocurrency gambling, which will soon become available in most of Europe. A regulated cryptocurrency gambling platform will soon be available in large part of Europe. Earlier this week, the popular eSports platform, Unikrn, announced that they’d been allocated a license in Malta which will enable its platform to real-money wagering using its UnikoinGold crypto token. This crypto token is based on the ERC-20 ethereum principle and is currently available via a token sale or initial coin offering (ICO). 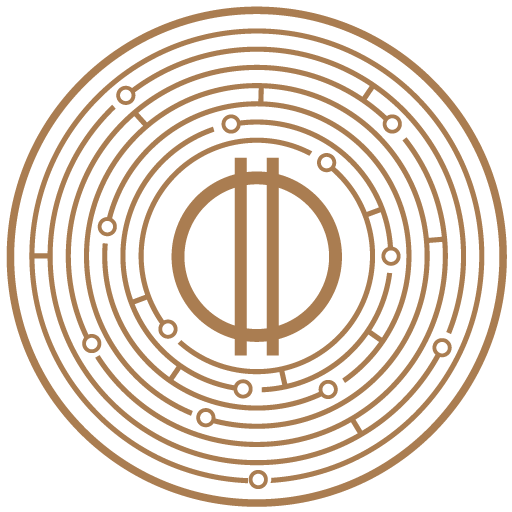 The UnikoinGold crypto token will be utilized as a substitute of real-money wagering in the licensed area. Since Malta has extended the license, this will be available in 80% of Europe. Rahul Sood, chief executive of Unikrn, recently stated that expanding into Europe will a large and growing market of users. Users that include both previously established users and those who are attracted by the real-time money transition. Unikrn EU was established through a collaborative venture with RBP, France’s leading gambling platform. Currently, RBP boasts over 300 000 registered users, and an average of 1 million unique monthly visitors. In addition to this, eSports are experienced a growing popularity, especially amongst younger users. eSports comprises of video games played competitively both online and in front of audiences, many consider this to be the world’s fastest growing sport. According to market research conducted by Newzoo, eSports will generate $696 million in revenue for 2017. This will mark a 41% growth from 2016. Experts have predicted that eSports could rake in approximately $1.5 billion by 2020. So far Unikrn has attracted high-profile investors such as Mark Cuban, Ashton Kutcher, and Elisabeth Murdoch. Until recently, Unikrn only enabled its real-money betting feature in Australia and the United Kingdom where it held gambling licenses. In other countries, Unikrn allowed free betting mostly on the popular first-person shooter and multiplayer arena video games such as Counterstrike, Global Offensive, League of Legends, and Dota 2. Free betting was facilitated by previous free Unikoin tokens. However, these tokens will become out of use as Unikrn introduces their new UnikoinGold token. The introduction of the UnikoinGold token, as well as the Malta licensure, were both critical factors which played a part in Unikrn’s moving from a free betting platform to implementing real money. This expansion will also allow for creating a broader amount of uses that the token owner can access from non-betting related areas. Unikrn will release another token, UnikoinSilver, which will be released in unlicensed areas so as to keep users engaged. However, the tokens will not be allowed to trade on any other platform. According to Sood, the decision to transition from free-play to implementing real-money was an easy one. Sood stated that the popularity of Unikoin was unexpected as they turned over a quarter of a billion in less than two years. A large part of the new token’s appeal is that users don’t always have to place a wager to earn tokens. Many users can earn tokens purely by participating in a tournament or by viewing a match online or in person. According to Sood, earning and using UnikoinGold won’t be restricted by regions. Sood stated that they will work to ensure that token owners can get more uses out of tokens so as to make them more valuable. This principle sparked a discussion in the gambling community all over the world, as most gambling platforms are searching for ways to be more appealing to younger audiences. This is particularly true in the Las Vegas gambling industry. Last week, panel sessions regarding this issue was held during the Global Gaming Expo in Las Vegas. While Sood recognized this, he cautioned the gambling industry that the only way to appeal to younger audiences is to do so by following the rules. He emphasized that the Malta license confirmed his company’s dedication to providing its users a safe, legal, and regulated platform.